Rare antique Russian Faberge silver 88 cloisonne enamel box by Feodor Ruckert. 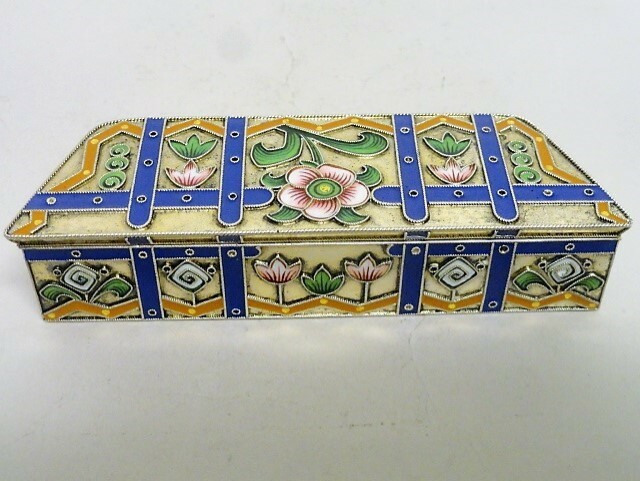 A beautiful and rare antique Russian faberge silver 88 Cloisonne enamel box by feodor ruckert, circa 1900. length is 4.1 inches. width is 1.25 inches. Weight is 95 grams.